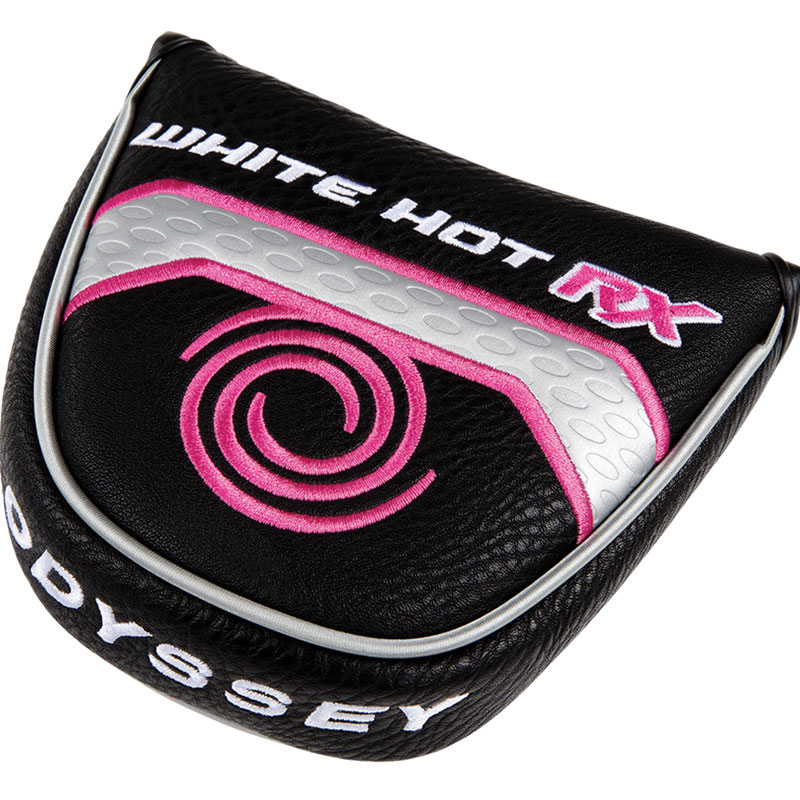 White Hot is now even better, the Odyssey Ladies White Hot RX 2-Ball V-Line Putter has reached the next evolution in White Hot feel and combined it with better roll. White Hot Feel. Even Better Roll. 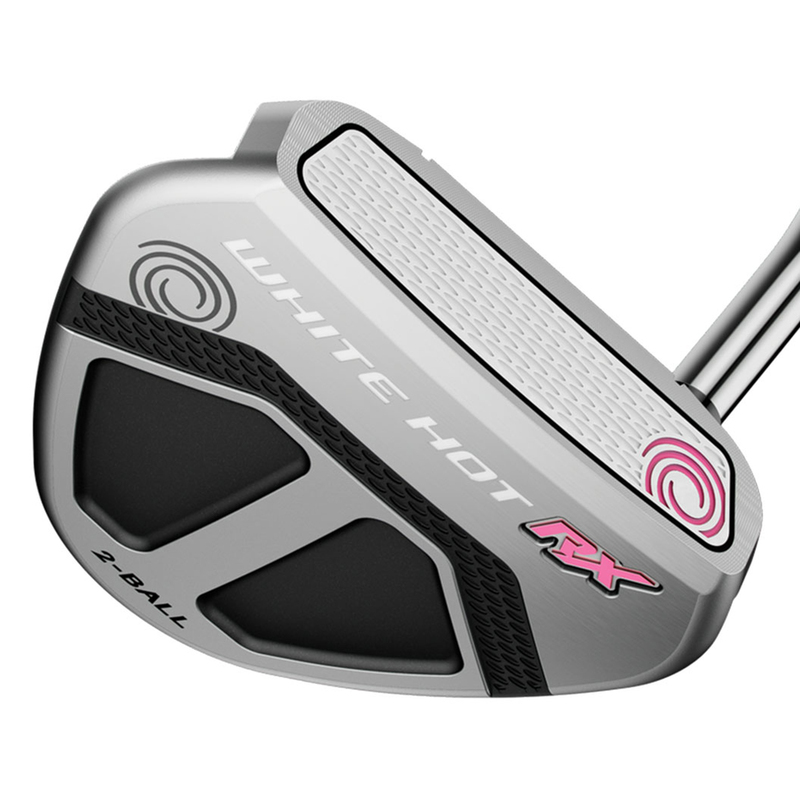 The new White Hot RX insert mimics the legendary White Hot feel and has taken it to the next level by bringing our patented Metal-X oval technology to the new dual layered insert to give you a better roll. A precision Dual Layer Injection Moulding process allowed Odyssey to fine tune each layer of urethane in the insert to maximize performance and feel. 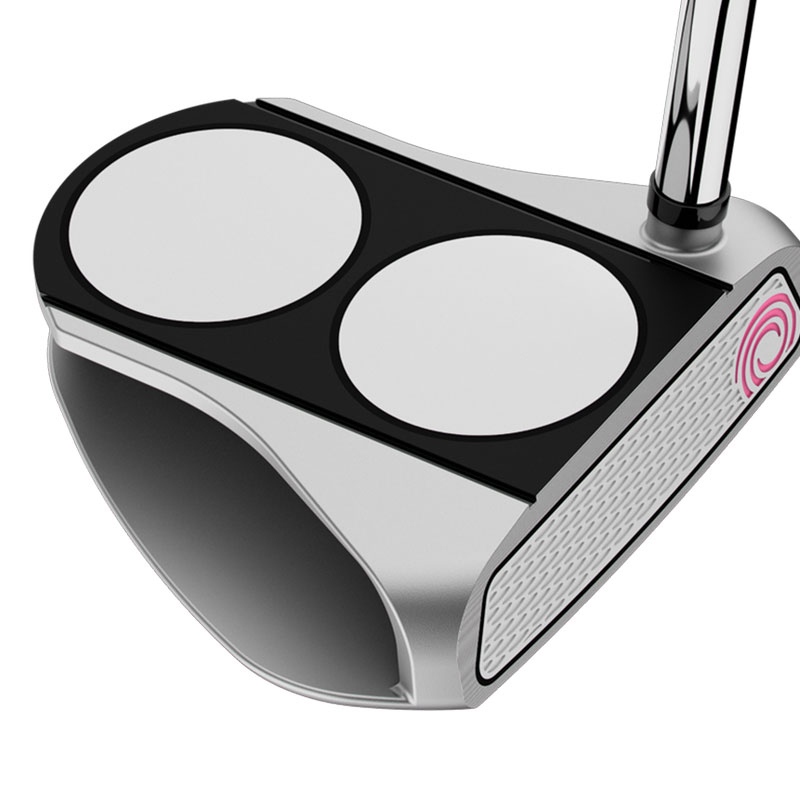 The soft core delivers the feel and ball speed. 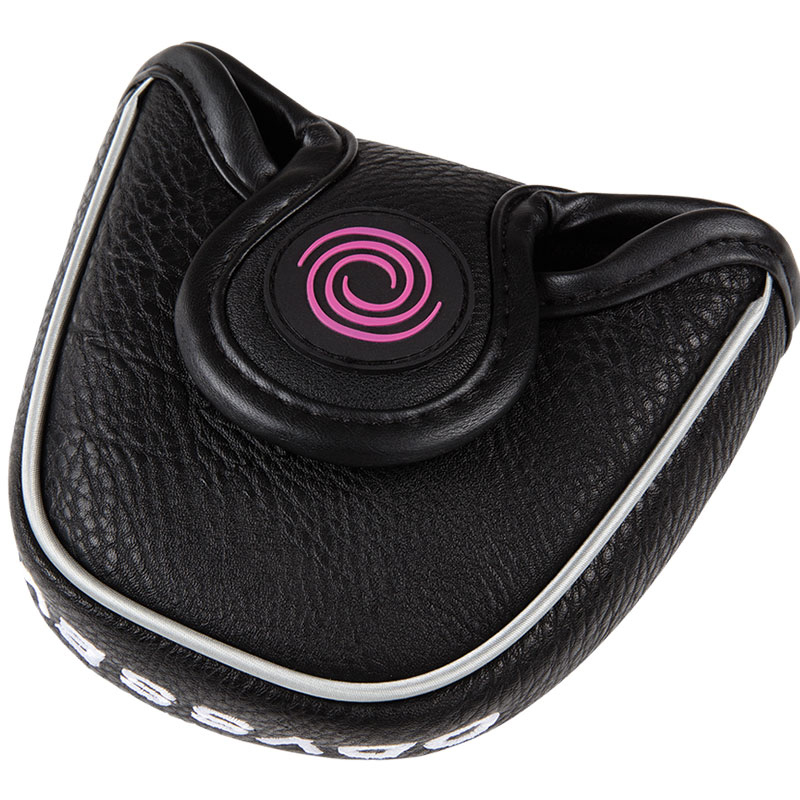 The firm striking surface provides audio feedback and when coupled with oval roll technology which provides a better roll. 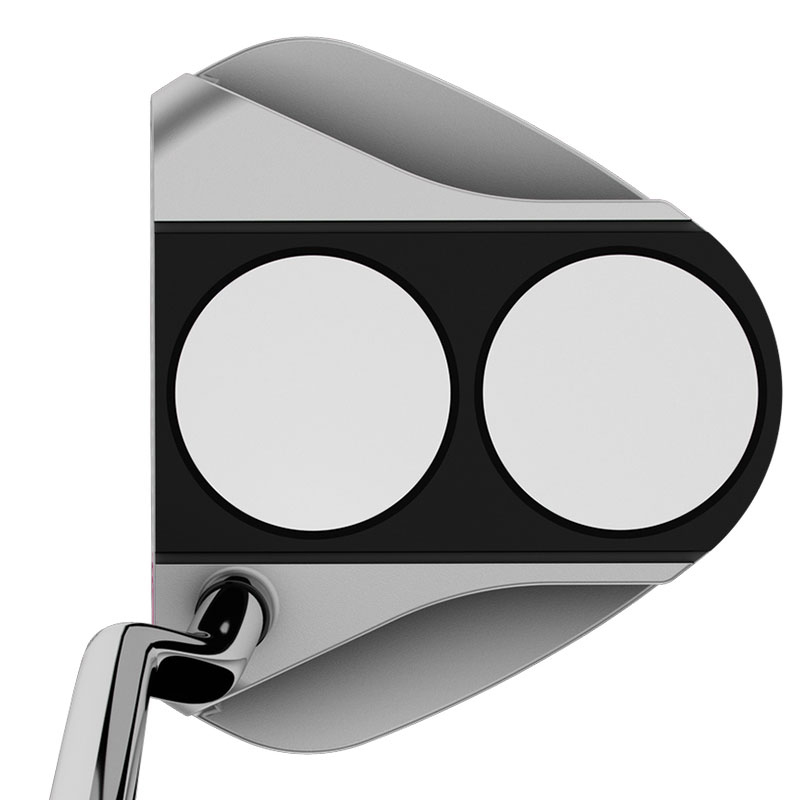 A new textured clear coating to the face to increase friction even more to maximize the potential for roll. 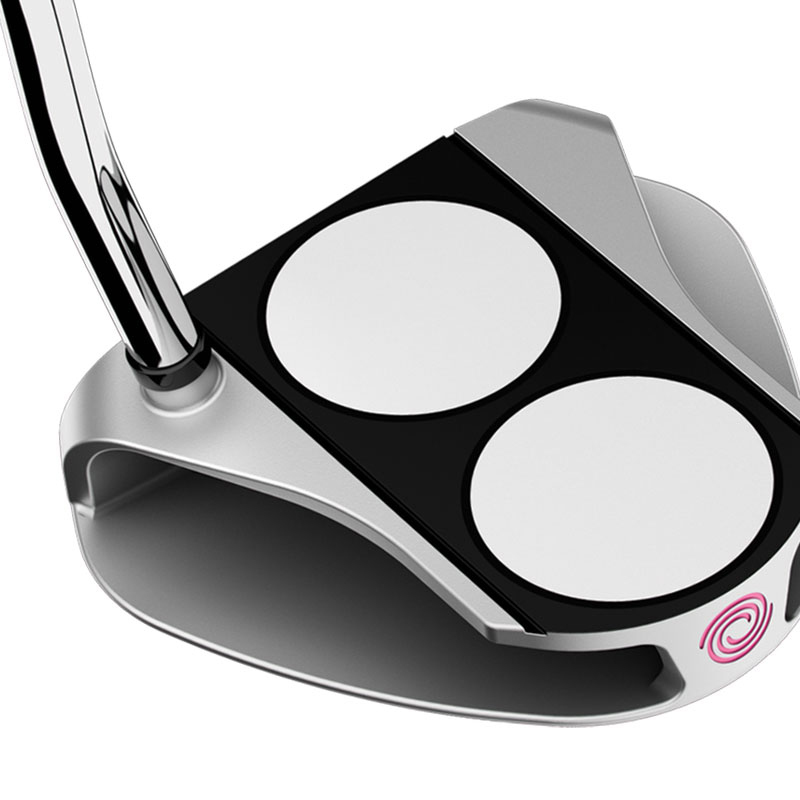 The Ladies White Hot RX 2-Ball V-Line putter comes complete with a matching head cover.